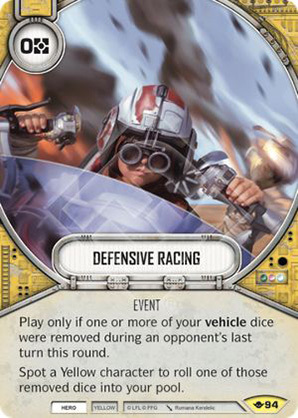 Play only if one or more of your vehicle dice were removed during an opponent's last turn this round. Spot a Yellow character to roll one of those removed dice into your pool. Way of the Force #94.